Yesterday, I arrived in Michigan to attend Paper and Book Intensive at Ox Bow. This is a 10 day program with about 70 other book and paper people. Each participant takes three different "intense" classes. I have the great fortune of having William Drendel, Gabrielle Fox, and Gary Frost instructing my three sessions. A description of the classes is available here on the PBI website. Ox Bow School of the Arts is located near Saugagtuck and just beside an ox bow lagoon. 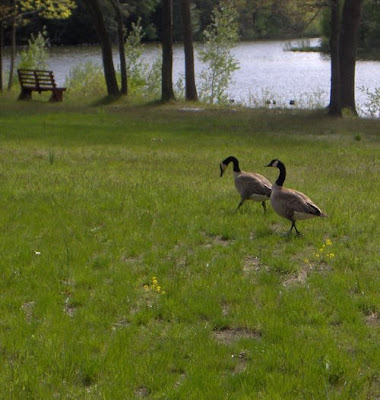 This afternoon, I finally found some other Canadians on campus! My how those Canadians love to travel. I hope you have fun while you're learning. Have lots of fun with your new friends. Rhonda, hope you're having a great time. I look forward to hearing about your classes. It has been great fun so far, and endless opportunities to learn from the instructors and the other participants!